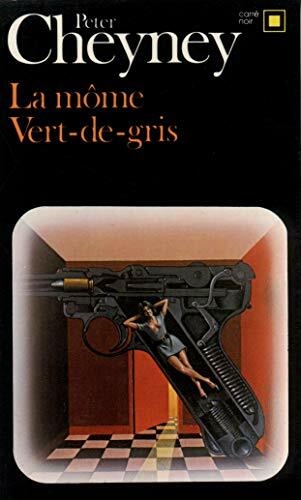 For almost 60 years, the Série Noire has constituted a determining factor in the French thriller market, for a number of reasons: its quantitative importance (thousands of titles had been published, 85% of which translations), its low price, the high prestige of editor Gallimard, the serie's unique image with its famous yellow on black covers, but above all the fact that this very Série Noire introduced the model of the roman noir (or hard boiled crime fiction) into the French book market. It is obvious that before the second World War, the model of the classical mystery story, incarnated by authors such as Doyle, Christie, Queen, after having reached its peak during the twenties and thirties, quickly attained a stage of ever growing codification (e.g. Van Dine's Twenty Rules for Writing Detective Stories, 1936) and consequent petrification. Clear symptoms were the continuous search for "new" exploitations of the mystery model's devices (e.g. Roger Ackroyd or Orient Express) and the growing number of (auto?)parodies. Reactions could be expected: already in 1927, Dashiell Hammett attacked Van Dine in an article bearing the eloquent title "Poor Scotland Yard"; in 1944, Raymond Chandler gave the fatal blow in "The Simple Art of Murder". Ever since, the classical model is widely considered as "epigonic", notwithstanding endeavours of the until then dominant group to ensure its central position in the genre system (more "human" detectives, greater variation of setting, new types of characters...). The first black novels were published in the United States, the first "incarnations" of the new model were Dashiel Hammett and Raymond Chandler. The rupture wasn't radical: the mystery element was conserved for some time, serving as an alibi for hardboiled stories. Later on, the roman noir got rid of the enigma and concentrated on action and suspense. The features of this new model are well known. No more mysterious poisons, puzzling alibis or subtle interrogations. Instead of explaining placidly the mystery in the final scene of the story, the detective now simply kills the criminals. The setting changes too: no more bodies in the library of huge countryhouses in peaceful villages, but slaughter in a dirty night club. Even narrative devices are transformed. Hammett and Chandler adopt a detached writing; privileging external focalization, their narrators limit themselves to the description of gestures without bothering about "internal life". All these changes have been studied frequently, not the least the aspect of focalization. In the meantime, the repertoire of French detective fiction manifested the same symptoms of petrification. The first American black novels in French translation were presented, without great success, as "romans d'aventures", thus being separated deliberately from the detective tradition. But the postwar vogue of "consuming American", and the acquaintance of the French public with the film noir cleared a way for the centralisation of the Hammett/Chandler model in the non-canonized literary system. New collections were established, among them, in 1945, the Série Noire. During the first years after the war, translations monopolized the genre system: French originals were only published as pseudo-translations. This shows how the American model, though accepted on the condition of being "foreign", still wasn't fully integrated in the French system. The series Minuit, for instance, created in 1941, published only pseudo-translations. In 1947, the Editions du Scorpion published J'irai cracher sur vos tombes ("I will spit on your tombs"), supposedly written by a black American, Vernon Sullivan. Its extreme violence and the "shocking" sexual scenes provoked a scandal, and the book was prohibited. Only years later, the real identity of the author was revealed: "Vernon Sullivan" was the well?known French writer Boris Vian. Gradually the local production gained quantitative importance (especially towards the sixties); only the Série Noire remained rather resistant to French authors. During the fifties, the series maintained its dominant position. As could be expected, the sixties marked a first crisis of the genre, since the basic model published was still the one of the immediate postwar period. The crisis produced defensive reactions: the roman noir annexed political fiction, fantastic novels, spy stories, even westerns and science fiction. Moreover, several series started to emphasize the "French element", not only in the selection of authors, but also on the thematical level. A similar crisis, caused mainly by saturation of the market, was felt in the beginning of the seventies. Besides a reduced number of publications, this brought about a new model change: roman noir became néo-polar, changed again setting, characters, milieus. Several authors adopted an air of social engagement, and narrative procedures became more complex and experimental. In contradistinction to the sixties crisis, this one clearly marked the introduction of a new model; in contradistinction to the model change of the forties, this time indigeneous production played a much greater role. The Série Noire, which continued to privilege the Hammett/Chandler model and the Anglo-American import, secondarized (i.e. lost its renovating function) together with the model it had introduced some 30 years earlier. Only at the beginning of the eighties, the Série Noire started an attempt to regain the (already declining) French thriller market, paying more attention to the local néo-polar. 7	Peter Cheyney	Vous pigez ? 15	Peter Cheyney	Comment qu'elle est ! 31	James Hadley Chase	Garces de femmes ! 41	James Hadley Chase	Méfiez-vous, fillettes ! See also: giallo, published by the Mondadori group, the same type of literature in Italy, named after the yellow book jackets. Amazon UK has an English copy for 0.01 pounds. This film was after a novel written by Peter Cheyney, entitled Poison Ivy (1937). It was the first title in Gallimard's Série Noire series, translated by Marcel Duhamel. The French title was La Môme vert-de-gris and was published in 1945. The Série Noire can be called the equivalent of the Italian gialli by Mondadori publishing house.